In 1791, to ensure that valid information could flow without censorship, James Madison and his colleagues drafted the First Amendment and passed The Bill of Rights. Among its vital guarantees, the First Amendment prohibits Congress from abridging freedom of the press. In the 21st century, the First Amendment guarantee that protects freedom of the press also ensures the freedom of all forms of journalism, regardless of the medium that transmits it. To validate this explicit Constitutional freedom a concomitant implicit responsibility exists – the responsibility for journalists, in all mediums, to provide our citizens valid information. The journalism community bears the burden to promote and fulfill this critical role. To meet this challenge, professional journalists and journalism educators have identified ethical standards and best practices to ensure that journalists collect, write and distribute valid reporting. Valid Sources has been formed to promote these ethical standards and professional practices and to ensure that practicing journalists, who provide information to the public, report the news in a fair, objective and enterprising manner, aspiring to seek the truth and tell it. Inform the journalism community of best journalism practices. Since its inception in the continental United States in about 1700, professional journalism has been a dynamic enterprise. The speed of news gathering has accelerated; the sophistication of news coverage has been refined; and the distribution and penetration of news delivery has broadened and deepened. But fundamentally, valid news reporting remains the same: news is targeted, it is collected, it is verified, it is packaged (written or produced) and it is delivered. Over time, news-gathering professionals have identified and instituted some best ethical practices to ensure that the quality of the information delivered is relevant and valid. Simultaneously, certain institutions — wire services, newspapers, broadcasting stations and networks — have created successful business models to fund the collection and the dissemination of accurate news and information. As new technologies have developed, the entry barriers for disseminating news-style information have been lowered, and the flow of accessible information — much of it delivered via the Internet – has expanded. The Internet has further fractionalized the choices for news consumers; there are many more sources and often these sources are delivered in less expensive bundles. In this churning sea of competitive news and information providers, some reporter-rich news organizations’ business models are threatened. Some of the newest free alternative sources are acquiring the attention of formerly paying customers, delivering some high quality news content free, and changing some news consumers’ expectations. Marketing analysts have framed news content as a commodity. This notion has undervalued the worth of enterprise and investigative reporting gathered by professional reporters. This lofty aspiration is the foundation of a journalistic ethic that drives journalism education and is reflected in the code of ethics of many major news organizations. Valid Sources seeks to reflect this aspiration by identifying those news organizations and individuals who are aspiring to this goal, and explaining how these news organizations do this, why they do this, and how the communities they serve benefit from these best journalism practices. In order to fulfill its mission, Valid Sources will support broad initiatives to disseminate background materials on best journalism practices and best journalism education practices. “Who Needs Newspapers?” (WNN) is a national project designed to create a dynamic database, assembled on a website, which aims to tell the story of leading community newspapers throughout the United States, by highlighting one outstanding community newspaper in each of the 50 states. Beginning the week of September 6, 2010, WNN will add a new newspaper to its website (www.whoneedsnewspapers.org) each week for a period of one year. These newspapers will be among those selected by their local press associations for their outstanding contribution to their communities. In subsequent years, local press associations will be solicited to provide additional selections for this website. Sara Brown, Ph.D., has over 30 years experience as a human resource professional, management trainer, columnist and educator in the newspaper business. She was vice president of human resources at The Columbian (Vancouver, Wash.), and manager, organization development, at the Los Angeles Times. Brown has conducted leadership workshops for the American Newspaper Publishers Association (now NAA), written monthly columns for the National Newspaper Association, is a past president of the national Newspaper Personnel Relations Association (now Media Human Resources Association). She has also advised small and medium-sized newspapers, nationally, on human resource and organization issues. Brown holds an M.S. from the University of San Francisco and a doctorate in human and organization systems from the Fielding Graduate Institute. Paula Duffy is a former publishing executive who currently consults on cultural policy research initiatives at the University of Chicago and serves on the board of the Great Books Foundation. 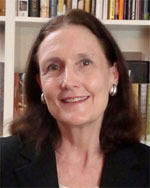 From 2000-2007, she was director of The University of Chicago Press where she oversaw the book, journal, and distribution operations of the largest university press in North America. 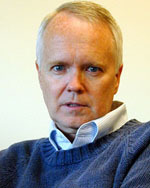 Prior to coming to Chicago, Duffy was vice president of Simon & Schuster and publisher of the non-fiction imprint The Free Press. From 1986 to 1995, she managed the editorial program at the Harvard Business School Press where she served as director (1989-1994). Beginning in 1995, for two years, she supervised the multi-lingual publishing program of a UN-specialized agency, the International Labour Organization, based in Geneva. Duffy holds an M.B.A. from Harvard. Bruce Garrison, Ph.D. is a professor in the School of Communication, University of Miami and has taught journalism for 34 years. 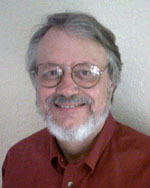 Garrison is author of numerous books -- his latest is the fifth edition of Professional Feature Writing, published in 2010. His research focuses on new technologies in journalism and international journalism, and he currently teaches feature writing, travel writing, news reporting, and research methods. 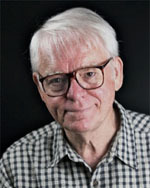 Garrison was a Fulbright lecturer in China, and he worked for numerous daily newspapers during his professional career. Garrison has an M.S. from the University of Tennessee, and a doctorate in journalism from Southern Illinois University, Carbondale. 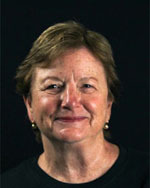 Sig Splichal, Ph.D. has served as the chair of the journalism program in the School of Communication at the University of Miami since 1996. Splichal is co-editor of Access Denied: Freedom of Information in the Information Age, co-author of a media law textbook chapter on privacy, and author or co-author of 24 articles related to issues related to media practice, media law and ethics. After more than 15 years daily newspaper experience in Georgia, Florida and Virginia, Splichal graduated in 1993 from the University of Florida with a doctorate in journalism in mass communications. At Florida he was editor, The Brechner Report, a publication of the Brechner Center for Freedom of Information, University of Florida. Paul Steinle is a veteran journalist and news media manager who has been teaching journalism since 1991. He launched graduate journalism programs at the University of Miami and Quinnipiac University. Since 2001 he has taught journalism and subsequently served as associate provost at Southern Oregon University in Ashland, Ore. From 1995-2000, Steinle served as president of the Sigma Delta Chi Foundation. Previously, Steinle had a 29-year career as a professional reporter and news manager. He was the president of UPI and the Financial News Network; he was a TV news director at KING-TV in Seattle; and he reported from Saigon and Hong Kong for Group–W news. Steinle has an M.B.A. from Harvard and an M.S. from Syracuse University. 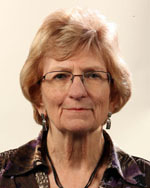 Georgiana Vines is a retired associate editor of the Knoxville News Sentinel. She still writes a political column for the News Sentinel. She also is the Frank Ahlgren Distinguished Lecturer in Journalism and Electronic Media at the University of Tennessee. Vines has more than 40 years as a journalist, including being the last editor of the Herald Post in El Paso, Texas. She has been active in SPJ, serving as national president in 1992-93, and she received the Wells Key, in 1996. She has also served on the Sigma Delta Chi Foundation board. She remains active in the East Tennessee Professional SPJ chapter and serves on its board. Vines holds a B.A. in English from Florida State University.